Area served: Manning, Deadwood, Keg River, and Paddle Prairie. Vision: To enhance quality early child development programs and support to families with young children. Mission: To coordinate services in a proactive and responsible manner that enhances the social, cultural, health and wellness of the children in our communities. Area served: Fairview, Cleardale, Worsley, Hines Creek, Whitelaw, Bluesky and surrounding areas. Mission: The Fairview Clearhills Early Childhood Development Coalition aims to endeavor to keep our children and families connected to each other, strengthen them by creating program awareness, parent empowerment, and educational resources. 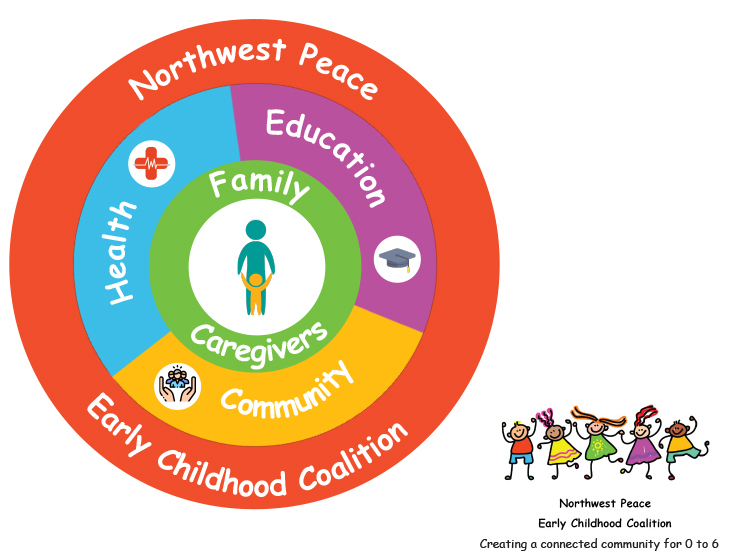 Whether you have a lot of time to give, or perhaps one hour a month, we invite our community members and agencies to become a member of the North West Peace Early Childhood Coalition. Being a member is a great way to give back to your community and get involved in increasing awareness of the importance of early education. Our members have lots of fun! The Coalition hosts one monthly meeting that usually lasts two hours. You will also have the option of participating in events, projects and networking opportunities. Are you applying as an individual, a member of an agency, or other?